So it is the first day in October. It is time to make bramble jam. The challenge with this one is making enough to last my boyfriend through to next year. Pick as many blackberries as you can. The more the merrier. Then weigh them, whatever weight of berries you have weigh the same amount in sugar. 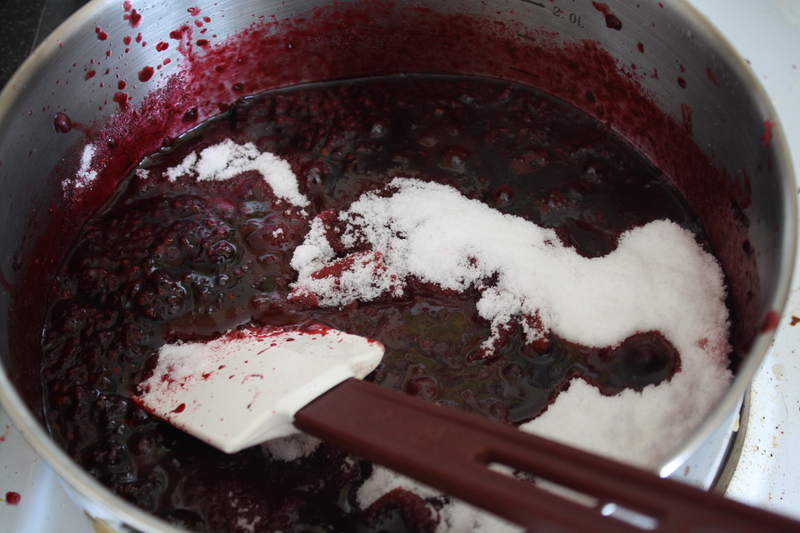 Heat your berries in a pan, and stir until they become all liquid and pulpy then add the sugar and stir until dissolved. I would usually add a little lemon juice at this point, not too much and heat the pan until ‘setting point’ is reached. This is a term used by fancy preserve making types which means; heat it and stir it until it’s really sticky and then do a little test spot and see if it sets. When it does put it into jam jars. (It is also advisable at this point to pour boiling water into them and empty out again to make sure they are sterilised). This entry was posted in Cooking and tagged bramble, cooking, food, jam, preserve, seasonal, sugar. Bookmark the permalink. 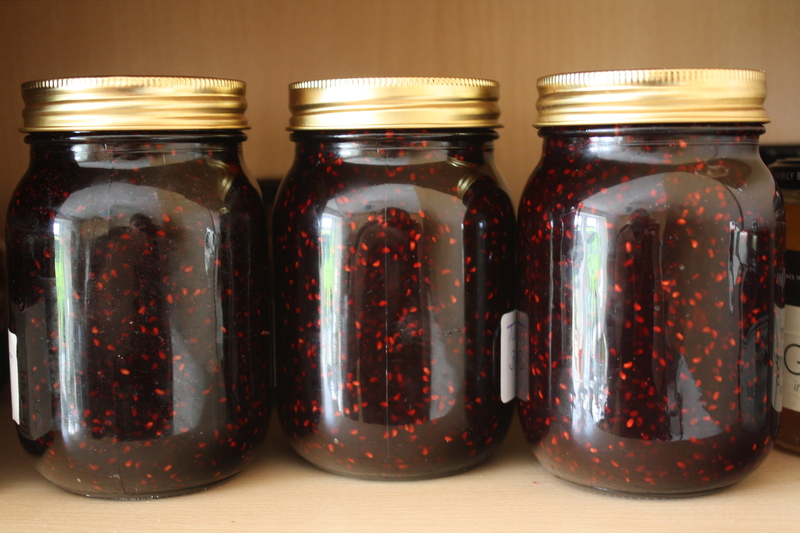 You jam is inspiring me to give jam making another shot! I have only made jam once, a batch of peach from last summer, and it was terrific but I am always nervous when it comes to making sure the jars are sealed!